Matt Iritani has always wanted to be a dentist. 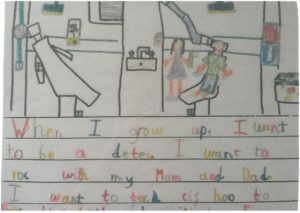 In fact, before he could sign his own name, Matt used crayons to draw a picture of himself as a dentist—a picture that he has kept all these years as a reminder of his lifelong goal. A 2011 Boettcher Scholar, Matt attended Cherry Creek High School, just blocks from his parents’ dental practice. 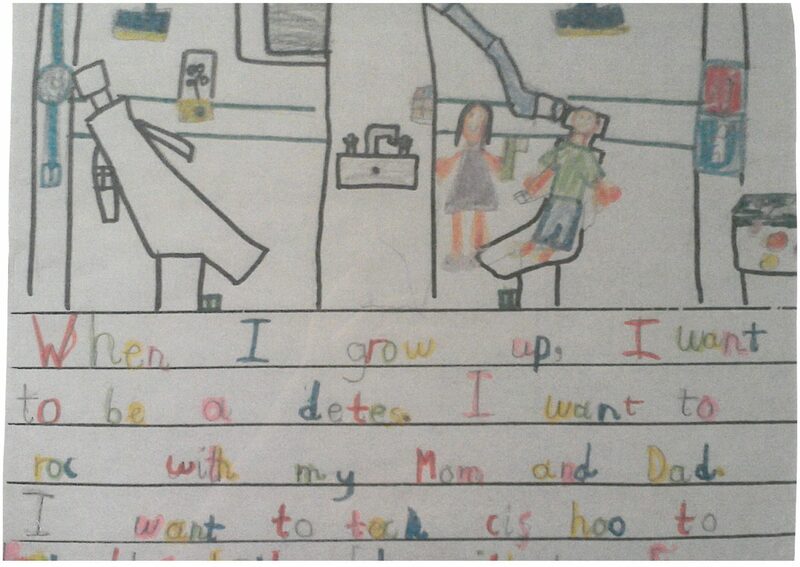 “People often don’t like going to the dentist, but they loved my parents,” recalls Matt. 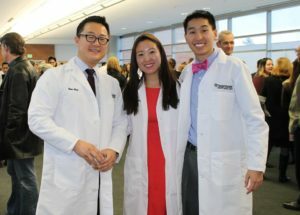 His parents valued being involved in the community where they practiced and getting to know their patients beyond the dentist’s chair. Currently, Matt is in dental school at the University of Colorado Denver, where his dad teaches in the program. Matt (center) in the lab. 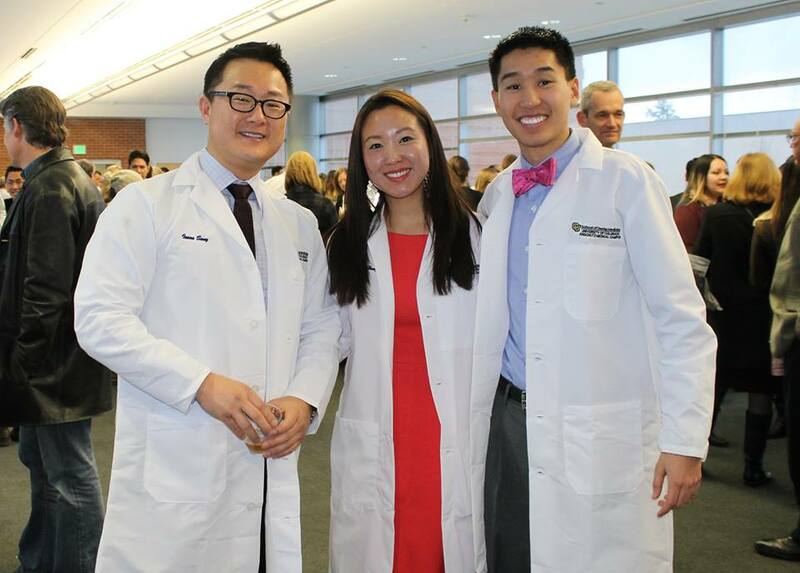 “One of the coolest aspects of dental school is actually getting to talk with my parents about the profession,” Matt said. 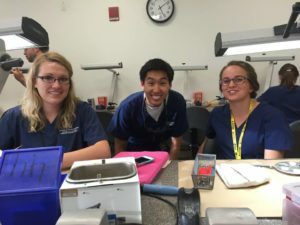 Being able to talk to his dad, share techniques and talk about advances in dentistry is one of Matt’s favorite parts of his chosen path. With each semester of dental school that passes, despite challenging classes, he is reassured that this is the right profession for him. After Matt earns his dental degree, he plans to continue his studies in an orthodontics residency, and to eventually open his own practice in Colorado, likely close to where he grew up. But in the meantime, when he is not mounting stone models of mouths, Matt volunteers at a student-run medical clinic in Aurora, as well as Children’s Hospital. He’s also active in the Japanese-American community, and on the UCD campus, where he values giving back. Even during the most difficult weeks of school, Matt never loses his smile, and aims to help brighten other people’s day.